The Yaganreyskoye field will get power both from the below and the above. During a visit to the new oil project, Bishop Yakov of Naryan-Mar and Mezen blessed the installation and installed an icon in the drill tower. From its elevated position, the icon of Saint Nicholas will view over endless lands of the Nenets tundra as plenty of oil is pumped from the ground. A second icon, one of Virgin Mary, will be placed in the workers’ cantina, Bishop Yakov says on his diocese website. The church man was invited to the field by Vladimir Sarychev, the General Director of Vostok NAO, the operator of the Yaganreysky project. 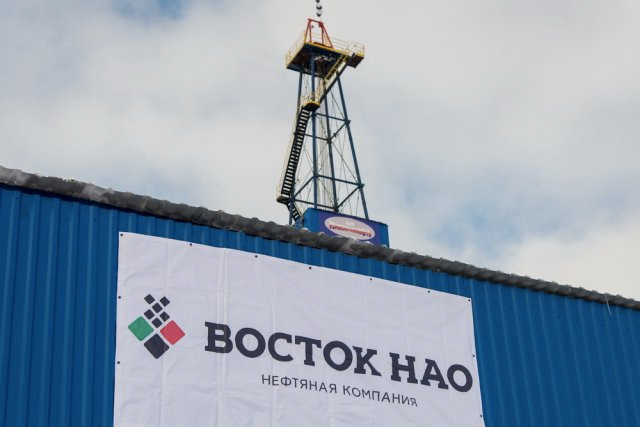 VostokNAO, a joint venture of Lukoil and Bashneft, owns seven licenses in the area, most of them in the eastern part of the region. It is far from the first mission to the tundra by Bishop Yakov. Since the establishment of the diocese in 2011, Yakov has travelled extensively across Russian Arctic lands. In 2012, the bishop was part of the expedition, which descended a capsule with a message from Patriarch Cyril to the North Pole point. The following year, during another expedition, he sanctified the Northern Sea Route. The diocese of Naryan-Mar and Mezen is the northernmost in the Russian Orthodox Church. It includes the Nenets Autonomous Okrug, parts of Arkhangelsk Oblast, as well as the Arctic archipelagos of Novaya Zemlya and Franz Josef Land.